Our dojo is reputable and well known to teach high-quality classes. We have been teaching Shotokan Karate to the residents of Las Vegas since 1981. Our late teacher, Master Ozawa (1925-1998) was a direct student of the founder of Shotokan Karate. Shotokan Karate’s origins can be traced back many hundreds of years ago to the island of Okinawa. 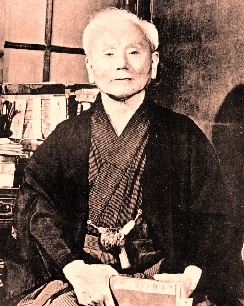 Grand Master Gichin Funakoshi, known today as the “father of modern karate” is responsible for formally introducing the art of karate to the people of Japan in 1922. He strongly believed that karate was a means of developing good character and self defense. He did not believe in resolving conflict with violence, and he stressed the show of respect for one another. Shihan Osamu Ozawa established Las Vegas Shotokan Karate in 1981. He was a direct student of Grand Master Gichin Funakoshi, the founder of Shotokan Karate. In March of 1942 at the age of 17, Master Ozawa entered Hosei University and joined the university karate team. 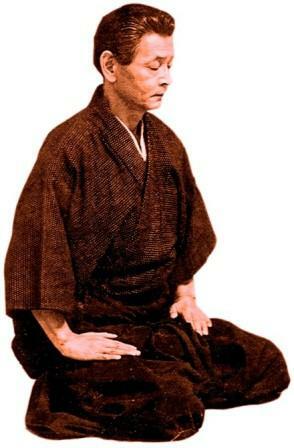 The chief instructor of the karate team was Gichin Funakoshi. Master Ozawa received his black belt from Master Funakoshi in 1944. Las Vegas Shotokan Karate's close lineage to Grand Master Funakoshi through Shihan Ozawa is not a common thing and it can't be claimed by many other dojos around the world. This is one of the things that makes us special and unique from many other karate dojos. Today Las Vegas Shotokan Karate still teaches the techniques, values, and traditions that came down from Master Ozawa. Our students are taught Shotokan Karate as it was handed down from Gichin Funakoshi to Shihan Ozawa and from Shihan Ozawa to Sensei Tawatao as well as to the other instructors of Las Vegas Shotokan Karate who also trained under him. Our students are taught not only Shotokan Karate’s techniques but are also taught the values and traditions that comes hand in hand with traditional Japanese karate training. Values and traditions such as: loyalty and dedication to one’s instructor and dojo, respect for other people, development of good character, faithfulness, and humility. As our students train and learn Shotokan Karate, their bodies develop strength and speed, poise and balance. Their minds are trained to be more aware and to have better focus and their spirits are cultivated to become strong and indomitable.